Episode 9 of 10: Stephen Smith. This week, in the last of Tunnel Vision’s excursions below ground, Bruno Rinvolucri is joined by Stephen Smith, Newsnight correspondent and author of ‘Underground London‘ and ‘Underground England‘. Already a seasoned spelunker, Tunnel Vision invites Stephen on a slightly less legitimate trip through the sewer system than he’s used to, discussing his previous experiences of the underground, and bringing a much needed stench of the netherworld back into BBC Television Centre. Tunnel Vision is a ten part series which sees Bruno Rinvolucri dupe a collection of writers, musicians, activists and academics into wading knee deep through the swollen rivers of sewage and miles of forgotten sewers that stretch beneath London’s surface. Safely esconced in the London’s effluvia, Tunnel Vision’s troglodytes explore this hidden and somewhat mysterious subterranenan environment sonically and historically. Leading us on a narrative of fact, fiction, anthropology, architecture, activism, music and sound. This episode was originally broadcast on Tuesday 13th October 2009. Episode 8 of 10: Richard Barnett – Part Two. This week, in part two of Tunnel Vision’s exploration of London as disease, we join Cambridge historian Richard Barnett, where we left him last week, knee deep in the silt which lines the bottom of the tunnels. After a historical analysis of a piece of pottery found in the filth, Richard continues his journey from choleraâs devastating beginnings to Bazzalgette’s creation of the cities sanitation system. This episode was originally broadcast on Tuesday 6th October 2009. Episode 7 of 10: Richard Barnett – Part 1. For the next two weeks, the series will be devoted to London ’s diseases. Cambridge historian, Richard Barnett, takes a trip through the sewers to examine the devastating effects of cholera, and its revolutionary effects on cleanliness, while pausing every so often to negotiate a rapid, drag a wellie out of a pile of rotting mud or, in part 2, analyse a fragment of pottery found in the silt. This week, Richard takes us from the swamp land on which London was built, to the first cases of cholera, a disease which, in Richard’s words, saw its victims fitting themselves to death in their own excrement. This episode was originally broadcast on Tuesday 29th September 2009. Episode 6 of 10: Ben Campkin. This week architectural historian, author, and Urban Laboratory member Ben Campkin attempts a sonic endoscopy. This episode was originally broadcast on Tuesday 22nd September 2009. Episode 5 of 10: Gabriel Humberstone. This week Gabriel Humberstone, a percussionist from Eddie Prevost’s improvised music workshop, takes part in two duets in south London’s sewers. The first with saxophonist Laurence Williams, the second with cellist Ute Kanngiesser. 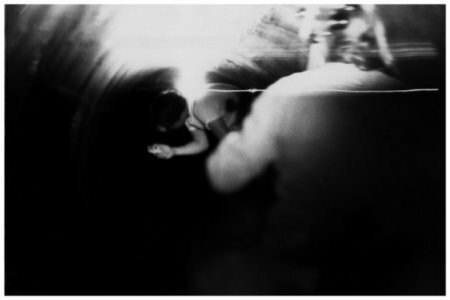 The programme starts with the Ute’s attempts to fit her cello into a manhole and lower it into the pitch black, sheer drop that leads into the sewers. This episode was originally broadcast on Tuesday 15th September 2009. Episode 4 of 10: Nick Papadomitrou. This week, ‘Deep topographer’ and expert on all things riverine and London, Nick Papadomitriou, takes us in search of a man hole he came across two years ago while surveying the Mill Hill area of Barnet. Walking the length of the tunnels for the first time, Nick reads from his research on the area and recounts his experiences of discovering the system. This episode was originally broadcast on 8th September 2009. Episode 3 of 10: Frank Key. Frank Key shuffles through a series of tunnels beneath West Dulwich to lament the forgotten histories of The Puckington Tunnels and Pointy Town sewers. Tunnel Vision is a new series recorded entirely in London’s sewer system. Producer/presenter Bruno Rinvolucri duped a collection of writers, musicians, activists and academics into wading knee deep through swollen rivers of effluvia along the miles of tunnel beneath London. Tunnel Vision’s troglodytes explore this hidden and somewhat mysterious subterranean environment. This episode was originally broadcast on 11th August 2009.